Did you know that spices are packed with antioxidants? Antioxidants promote healthy cells by preventing oxidative stress to the DNA in our cells. Oxidative stress can consequently increase the risk of many diseases like cancer and cardiovascular disease. Just a small amount of spice can make a huge impact on your health! A study showed that DNA damage may be decreased with eating ginger, turmeric, rosemary, and other spices. Scientists acquired tissue samples and exposed these cells to free radicals. They assigned one group to eat spices, and the other group to not eat spices. The DNA fracture rates were recorded and the results were promising. A tissue sample showed that about 10% of the cells in subjects’ bodies had DNA damage – breaks of strands in their DNA. However, eating ginger for just one week showed a 25% cut in DNA damage, lowering the percentage of damage DNA to 8%. The same result was shown with rosemary. More astonishingly, after eating turmeric for one week, DNA damage was cut by 50%! Just 1⅓ teaspoons of both rosemary and ginger, and just a pinch (⅛ teaspoon) of turmeric daily can do the trick. In addition, it is cooked (heat-treated) spices that have more of the antioxidant-rich effect of cell repair than raw. However, raw spices are found to have more anti-inflammatory effects! 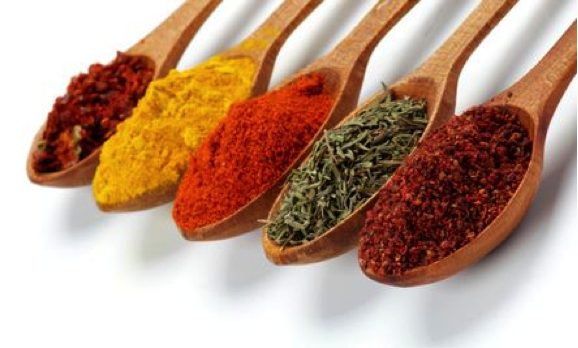 Try eating a variety of both raw and cooked spices to prevent the risk of cell damage. Place all ingredients in a slow-cooker, mix, and cook covered on high for 4 hours. Sprinkle some extra uncooked turmeric when serving. Note: If you are missing some of the ingredients, be creative! Swap for different spices and herbs, use fresh or dried. Be sure to check water levels if you are omitting water-retaining ingredients like tomatoes or mushrooms.